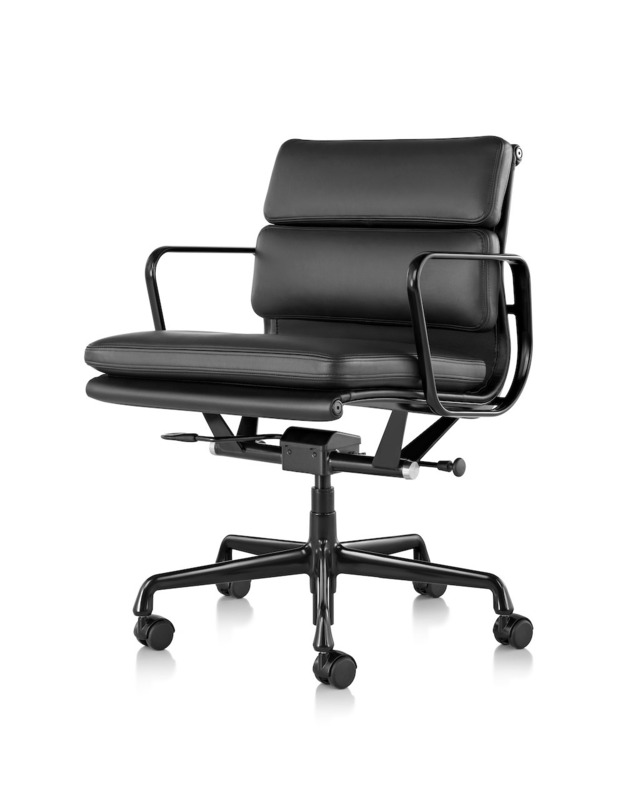 Designed by Charles and Ray Eames, the Eames Soft Pad Chairs are elegant in form and technique. 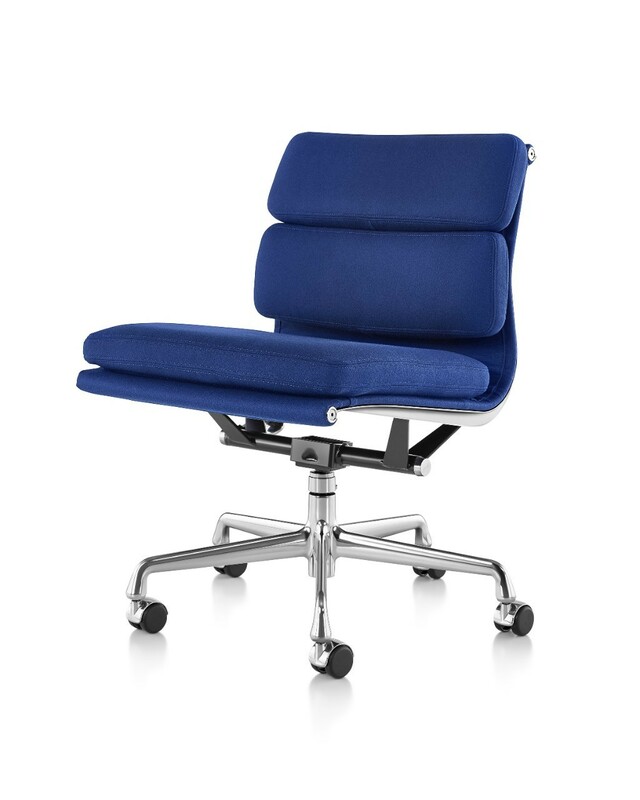 The cushier cousins of the Eames Aluminum Group Chairs, the Soft Pad Chair Group exudes timeless elegance. Sophisticated, refined, with a graceful silhouette. 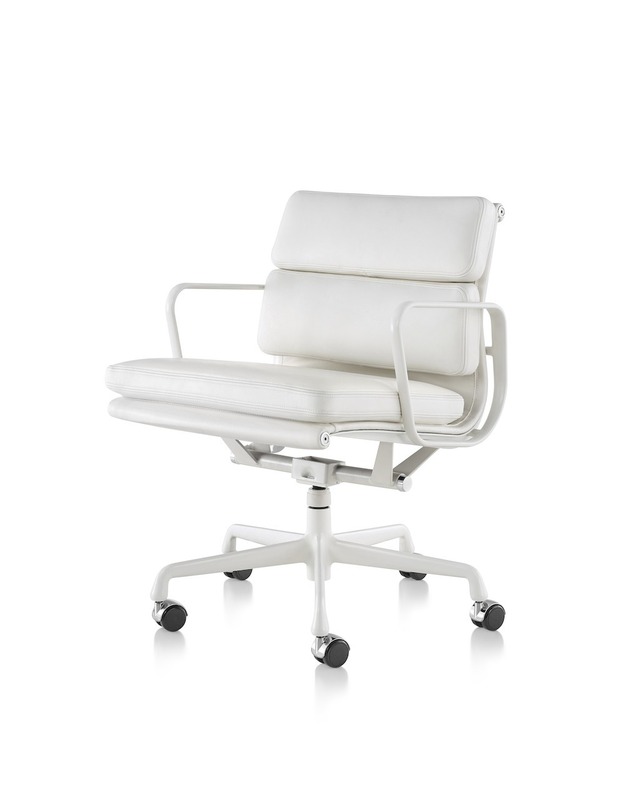 Soft Pad chairs are available in a selection of colors, materials, and bases that allow them to sit well in homes and offices. 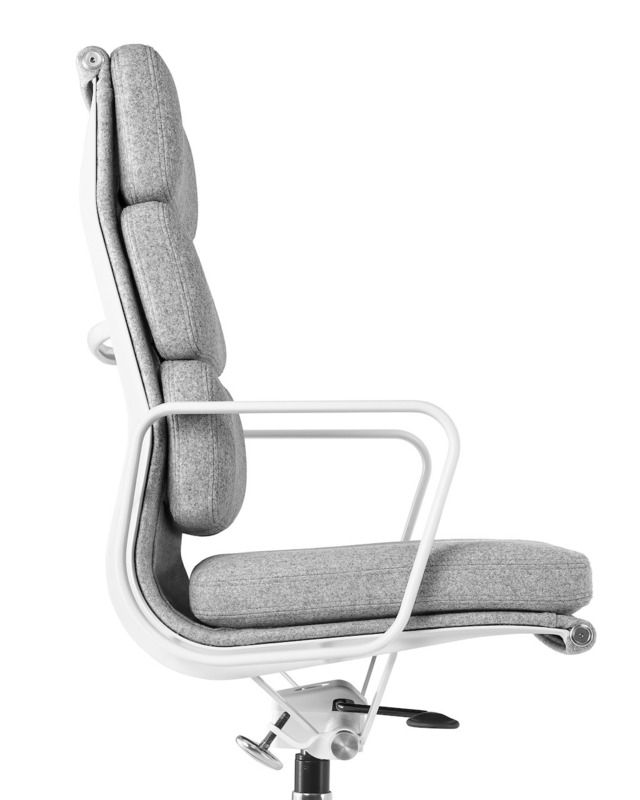 Never being ones to favor style over substance, Charles and Ray Eames gave their design an innovative suspension that creates a firm, flexible “sitting pocket” that conforms subtly to the body’s shape. The foam cushions of Soft Pad chairs will not flatten or clump over time. 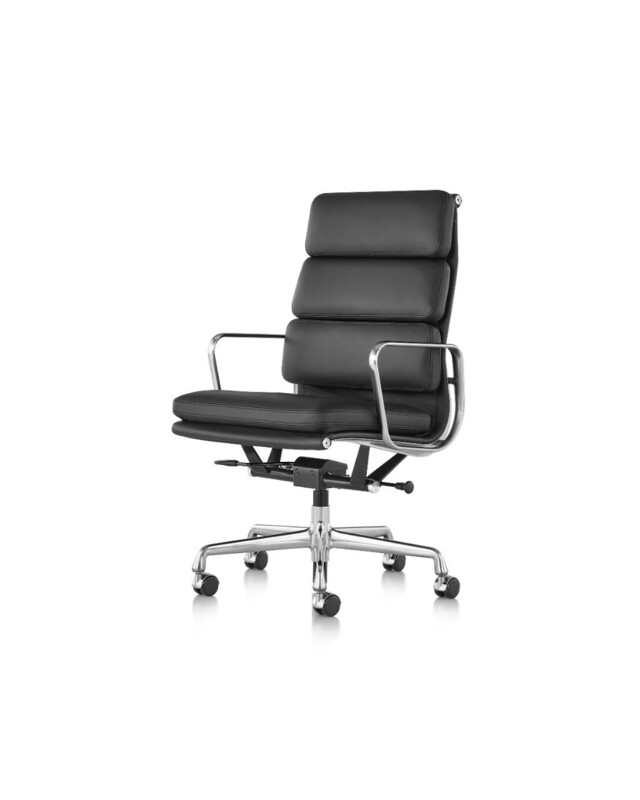 Pneumatic lift and tilt lock are available as options on the management and executive models.